D.P. Murt Co. Inc. is your solid and dependable choice for Pennsauken commercial electrical contractors. We provide full service electrical installations and maintenance for businesses throughout South Jersey and the Philadelphia area including Delaware markets. D.P. Murt Co. Inc. is a veteran-owned business that has been serving the area for over 30 years, and we have a continued track record for completing projects on time and on budget. Commercial. When you need to replace the old wiring in your restaurant, store, apartment complex or any type of facility, we’ll install a state-of-the-art, code-approved system. We also assist with design and build services, including lighting installation, energy conservation audits, and telecommunications among many others. We can install and maintain power generators and HVAC wiring systems as well. Industrial. D.P. Murt employs highly trained electrical technicians that install and maintain your electrical system to help prevent shutdowns. 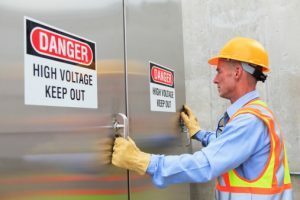 We can install and service power wiring, generators, UPS systems and emergency systems, along with most types of circuits. We also specialize in security system wiring, from security and fire system maintenance to electronic door readers. Institutional. We specialize in new service and repairs, energy-efficient lighting, lighting surveys and retrofit, and green technology including solar and wind energy. To learn more, click on the services tabs on this website and have a look at some of our completed projects. Whether you are in need of an entirely new electrical system or want to improve the efficiency and reliability of your current power supply, D.P. Murt is ready to meet your electrical needs. Click here to arrange a free electrical survey and see what makes D.P. Murt Co. Inc. the smart choice in Pennsauken commercial electrical contractors. We look forward to making your electrical system safe and efficient and letting you run your business worry-free.